Modified bitumen is widely used in road works for construction and repair of road surfaces, also in waterproofing buildings and structures, roofing and pipeline protection. GlobeCore design department has developed a new UMB-6 plant for mixing in circle of modified bitumen (productivity 6 m3 / h). 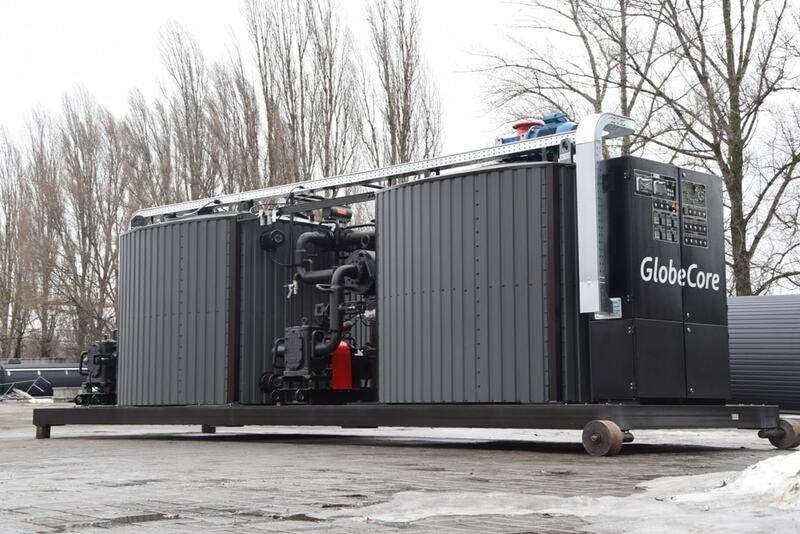 The design and dimensions of this equipment were adapted for shipping containers by road and by sea. This new plant was a success. A UMB-6 plant can use any existing additive (in powder, solid, liquid). The bitumen and additives pass through a colloid mill twice in one production cycle which improves the quality of the product without loss of productivity and simplifies the design. It also reduces the number of bitumen pumps, respectively. There are two: one for pumping in, and the other for a colloid mill and pumping out. If you are interested in purchasing a UMB-6 bitumen modification unit, you can contact one of the contacts.